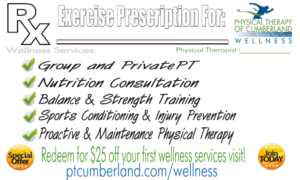 Thank you for your interest in Physical Therapy of Cumberland. Upon completion of this form, one of our team members will get back to you within one business day. You can also call us at 401.333.9787 during regular business hours.